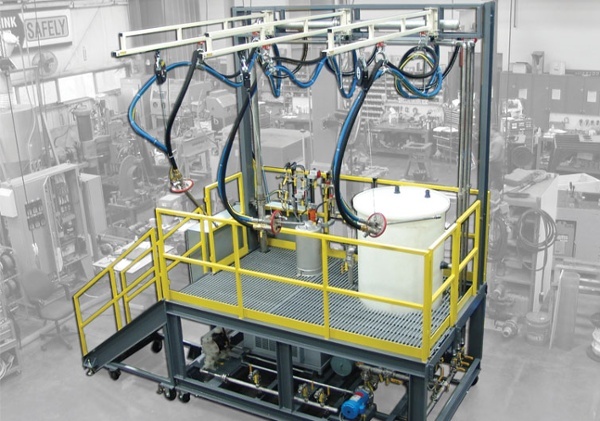 Crane Engineering has manufactured skid systems for virtually any type of market or application. No matter your sector, we can develop a solution that meets your needs. 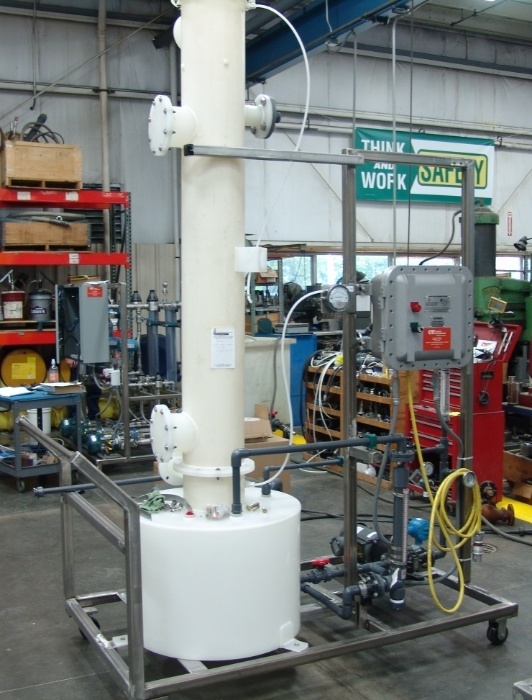 Work with someone experienced in your market. We've built hundreds of successful skid systems for the municipal, food and beverage, chemical, industrial, paper and tissue markets over the years. We have the open-minded engineering talent and the innate ability to understand our customer needs, enabling us to develop a solution for any challenge we're presented. 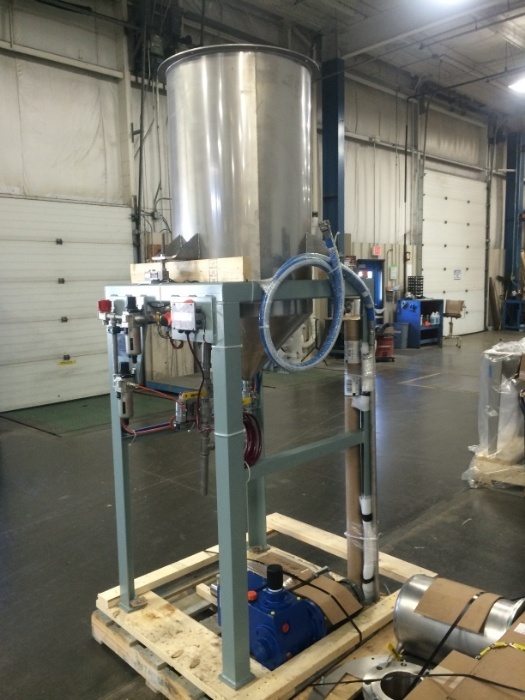 What we build next, is up to you. 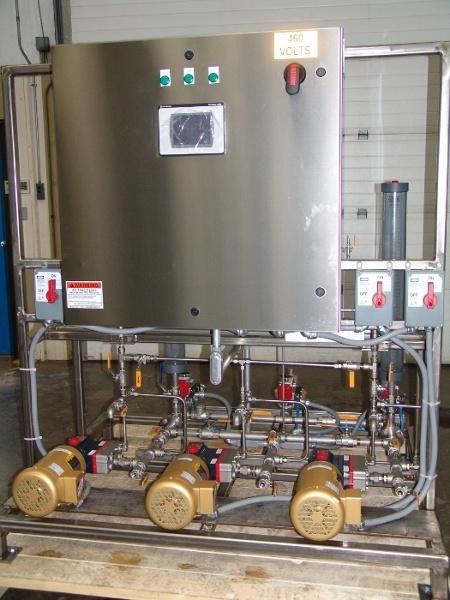 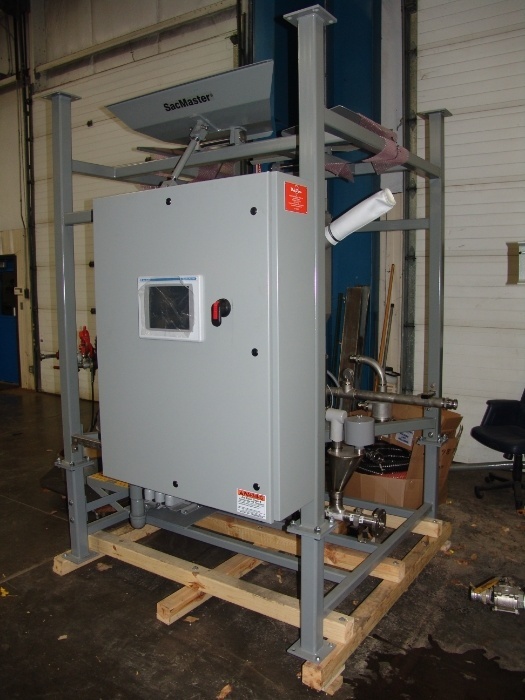 We specialize in skid systems for utilities in food and beverage facilities. 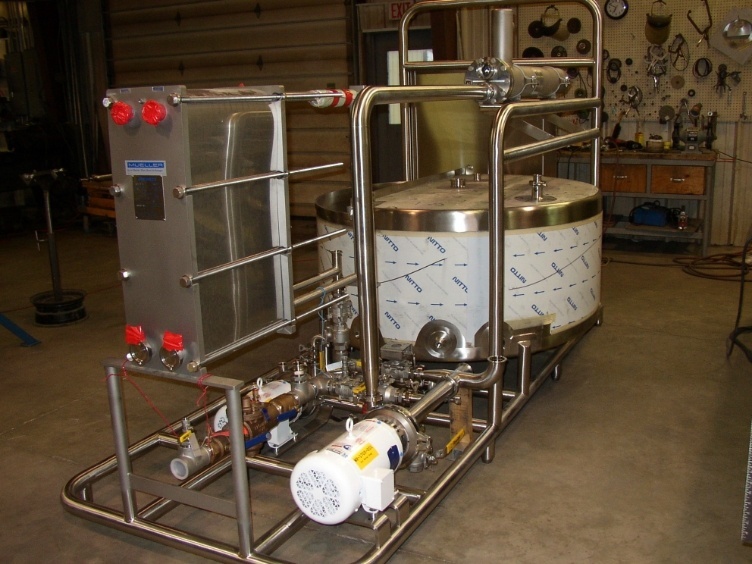 Product loss recovery system for reclaiming butter at a dairy. First rinse of butter equipment totaled savings of $182,885/year. 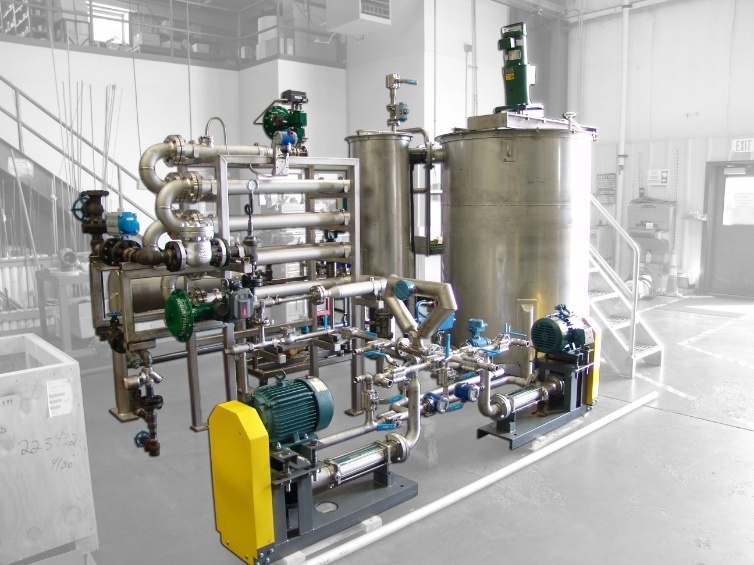 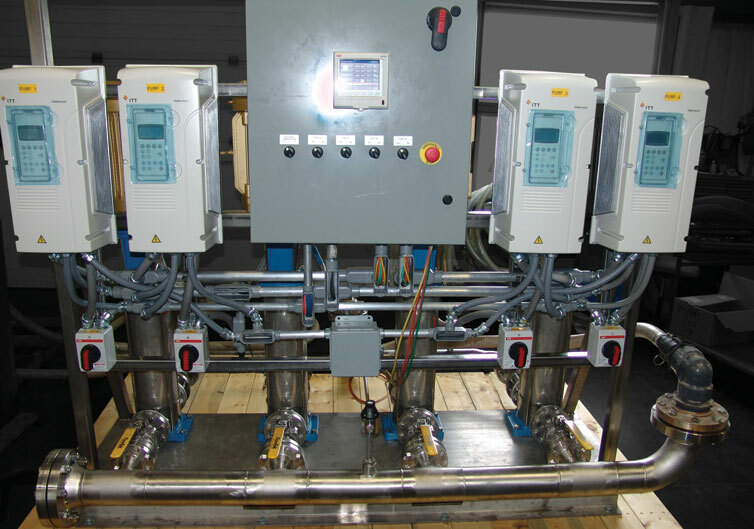 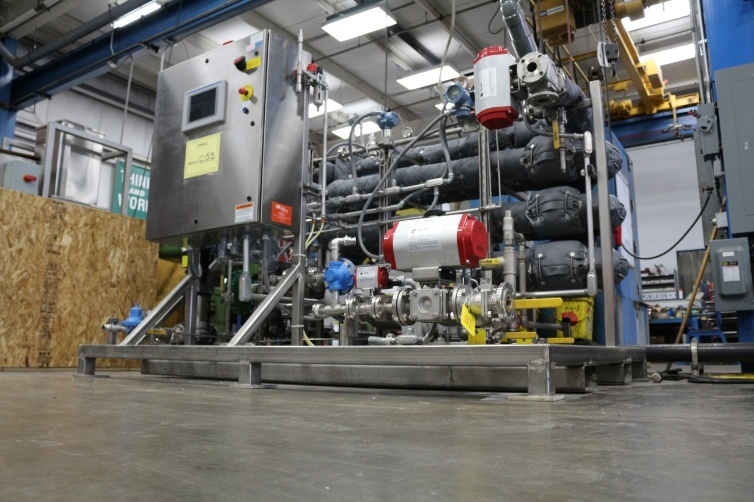 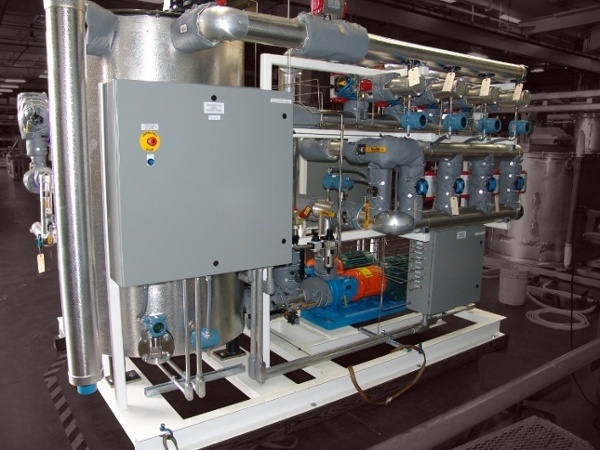 We have extensive experience in designing and building skid systems that are highly accurate and efficient for chemical manufacturing and application. 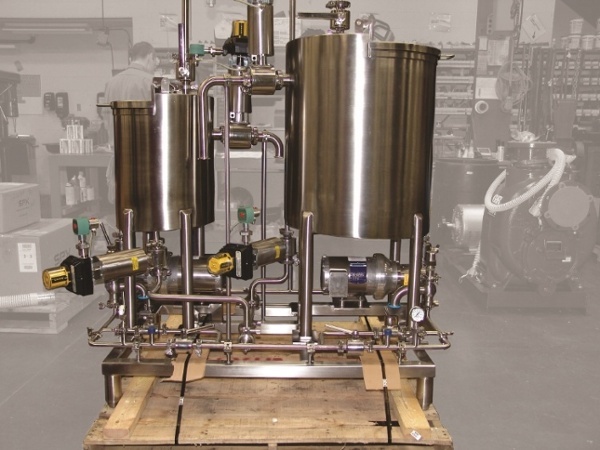 Blending skids use static mixers to thoroughly mix several different chemical components. 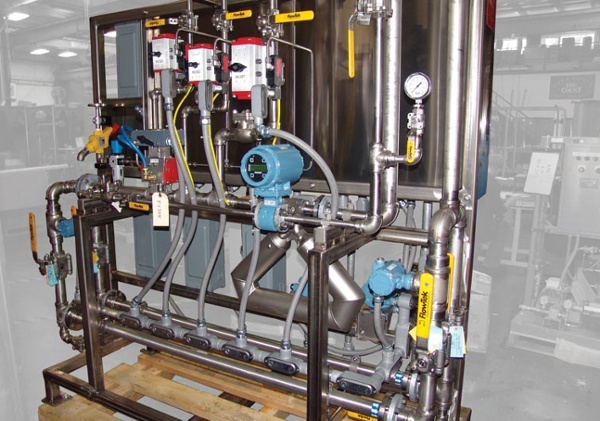 Work with someone experienced in general industry. Below is just a sample of the typical skid systems we've built for industrial clients. We've worked within the pulp, paper and tissue industries since we opened for business in 1939. 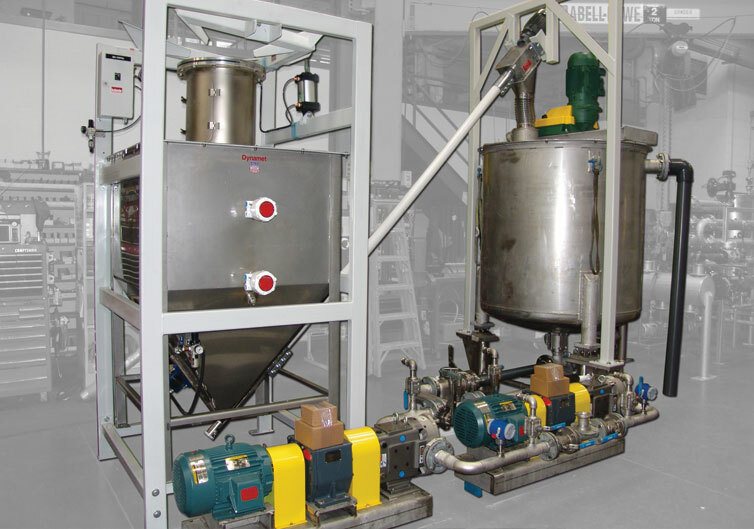 Being located close to many of the largest and most well-known mills in the world has allowed us to leverage our expertise on virtually every type of project and application found within these facilities. 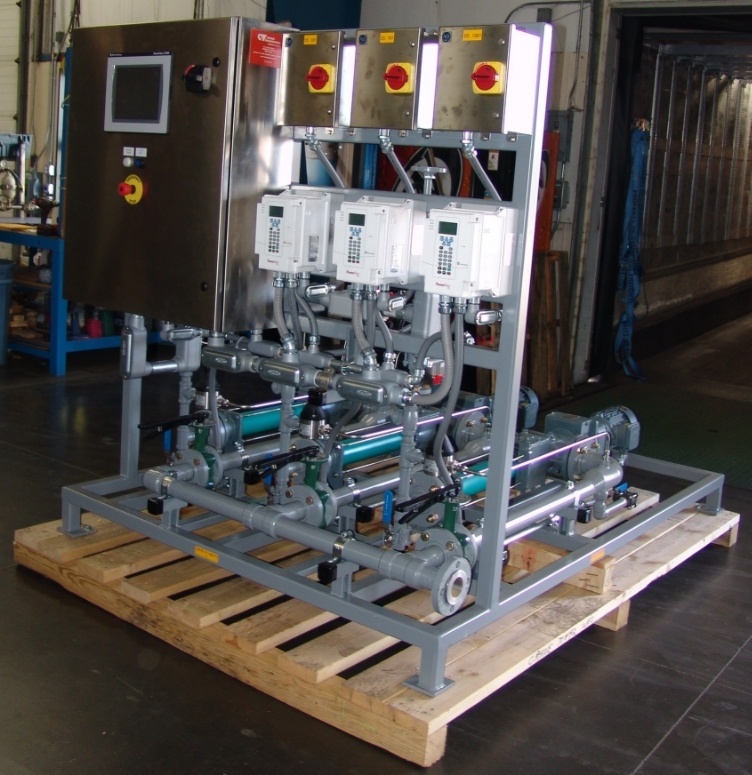 Whether you're looking to upgrade or expand an existing process, add a paper machine, or build a new facilit6y, we can develop a system to suit your needs. Make-down systems mix dry materials with water, reducing product and transportation costs for high usage chemicals. 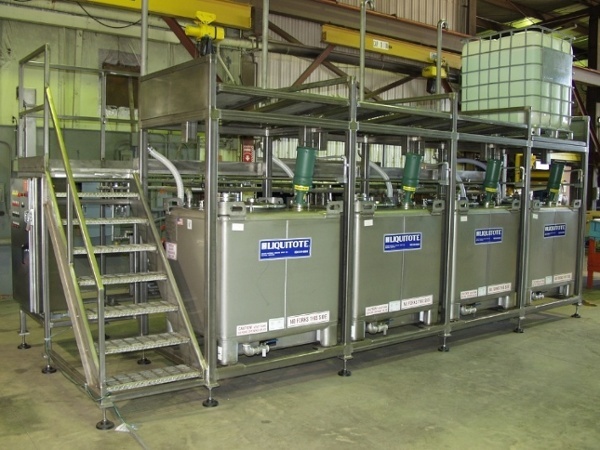 Spring loaded platforms and a raised platform makes it easy to empty and change chemical totes. 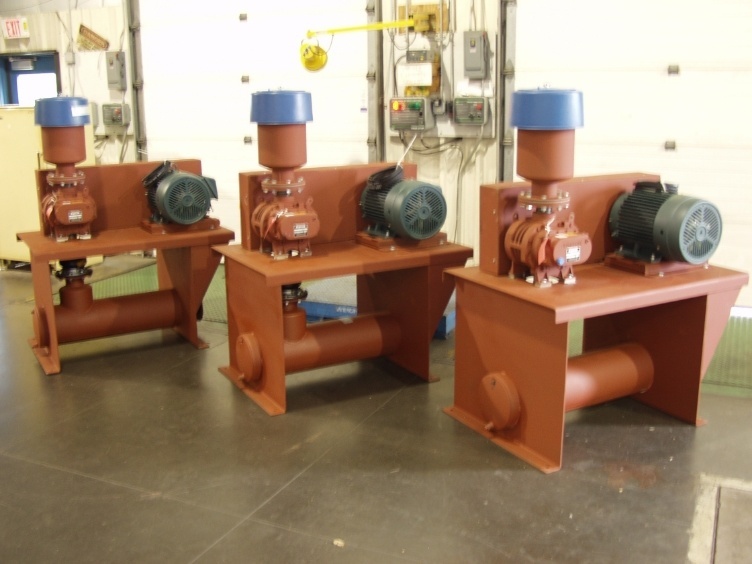 We have served the needs of municipalities for over 50 years. 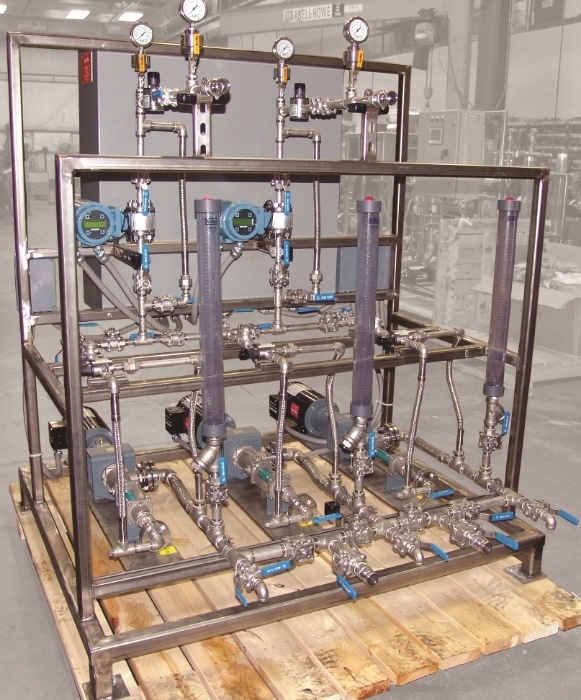 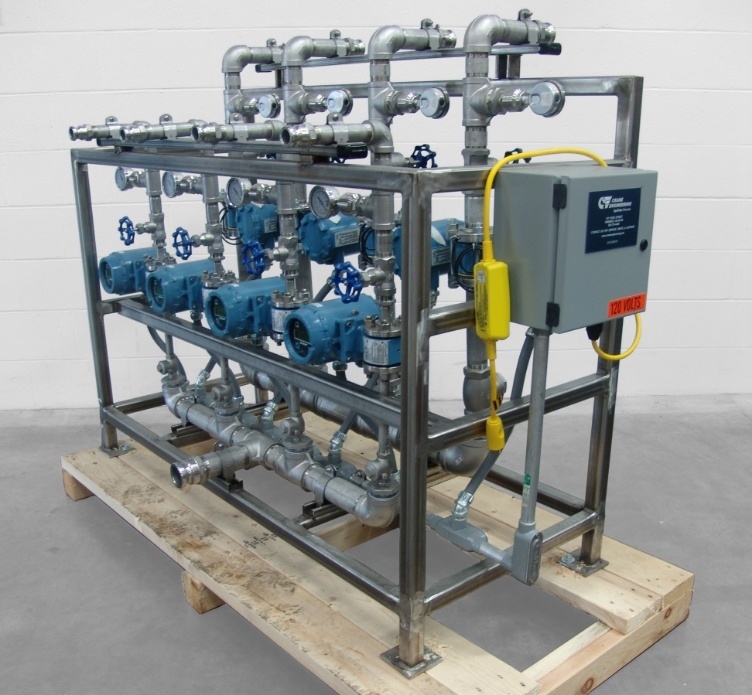 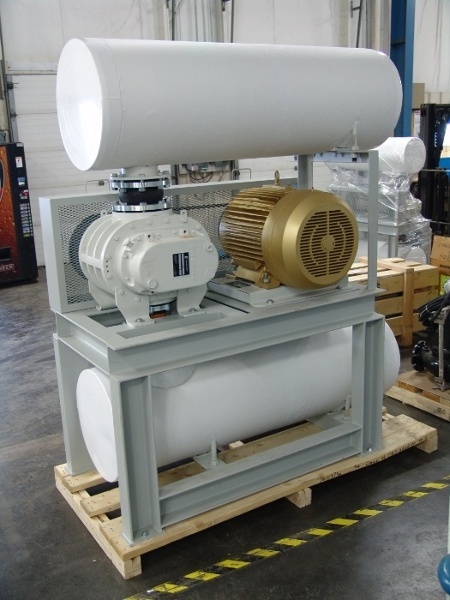 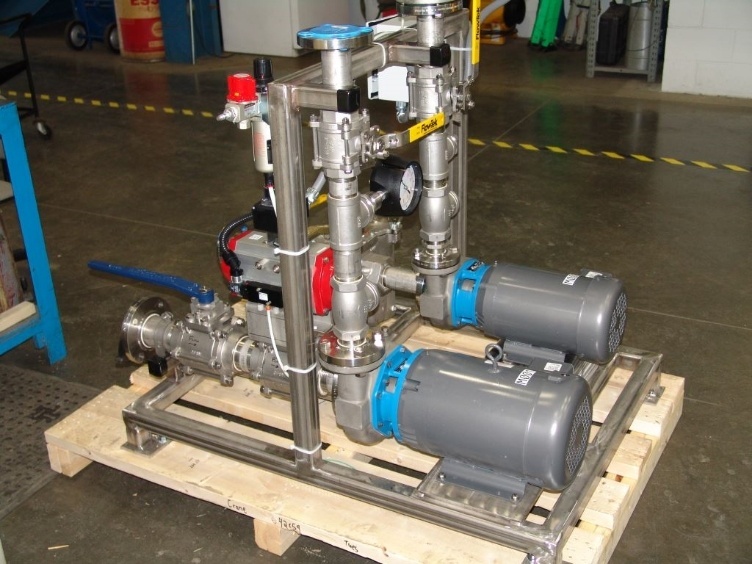 The knowledge gained from working on a wide range of projects allows us to craete innovative skid system solutions for applications such as pressure boosting, transfer, and treatment. 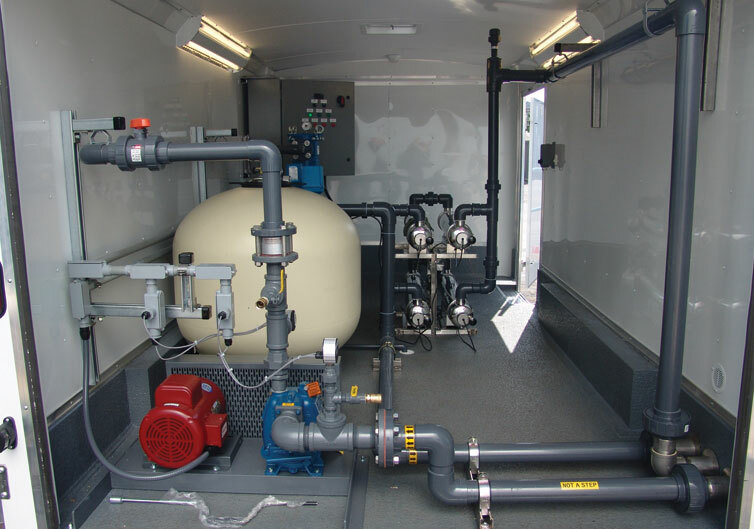 A filtration system can be installed in an enclosed trailer for easy mobility. Bulkead connectors installed on trailer wall to keep equipment safely locked during operation. 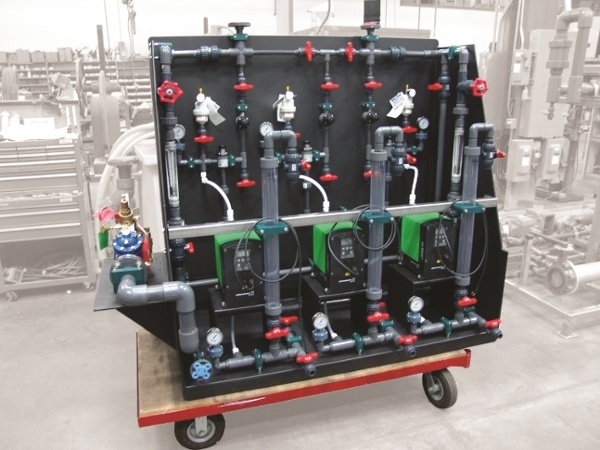 Extremely corrosive chemicals require non-metallic bases, components, and piping. 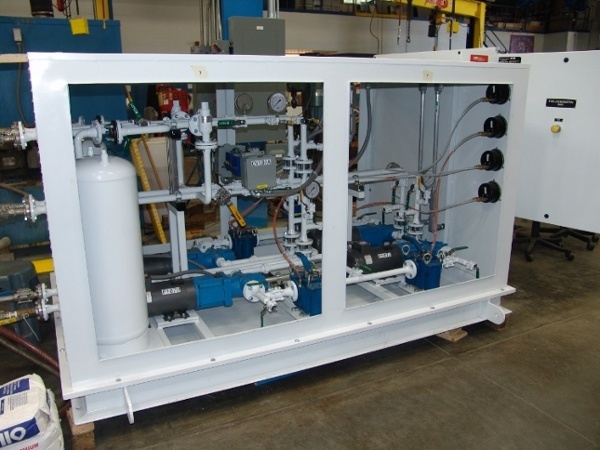 See more examples of our skid systems.